Progress tips: Former Federal Reserve chief Alan Greenspan waits to be interviewed in Washington, DC, on 20 September. Criticising India’s first prime minister Jawaharlal Nehru for shunning market competition, former US Federal Reserve chief Alan Greenspan has advised New Delhi to shed socialism for optimal economic growth. “India has great potential if it can end its embrace of the Fabian socialism that it inherited from Britain," he said. Cautioning that current politics appear to be leading India to a discouraging direction, Greenspan said Prime Minister Manmohan Singh, whose government is supported by the left parties, lacked authoritative clout that China’s Deng Xiaoping had in carrying forward agriculture sector reforms. Despite important reforms since 1990, “India remains heavily bureaucratic. Its economic growth rate in recent years is among the highest in the world, but that is off a very low base," he said adding that it can undergo radical reform like China and become a “world-prominent" nation. 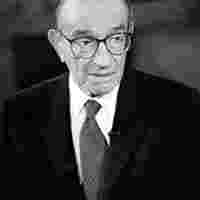 Unlike Indian economists, Greenspan did not give any justification for pursuing socialistic growth model. He, however, added, “since the plethora of licences, permits, and stamps didn’t seem to help the economy (in fact, they were stifling it), what decisions the bureaucracy made on granting permits soon lost all higher purpose and became arbitrary." Even the most principled civil servants were reluctant to cede power, while “the less principled had something to sell. No wonder India was (and is) rated poorly in every measure of corruption", he says. The reluctance of bureaucracy to cede power was supported by India’s entrenched labour unions, and the communist parties, he added.